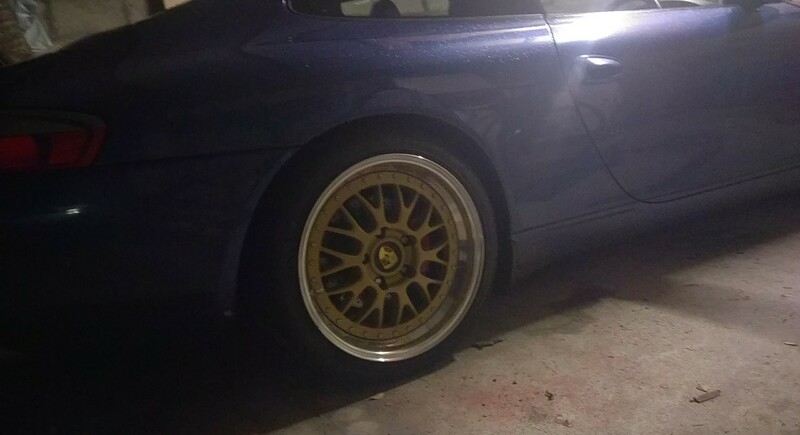 I cant help thinking that Subaru ruined the whole "blue car, gold wheels" combination for everyone...…..
Yeah that's pretty much what I was thinking. Thing is when I google E88 wheels there are so many in gold that look amazing but with the car being blue it has that Subaru link. Im pretty sure Im going grey. It's a "Gunmetal" from me. Gold is a bit blingy yet I do sometimes like it. Gunmetal on yours though. Will look great. I hope so. Just found my old C4s for sale.....have to admit I'd have it back for sure. 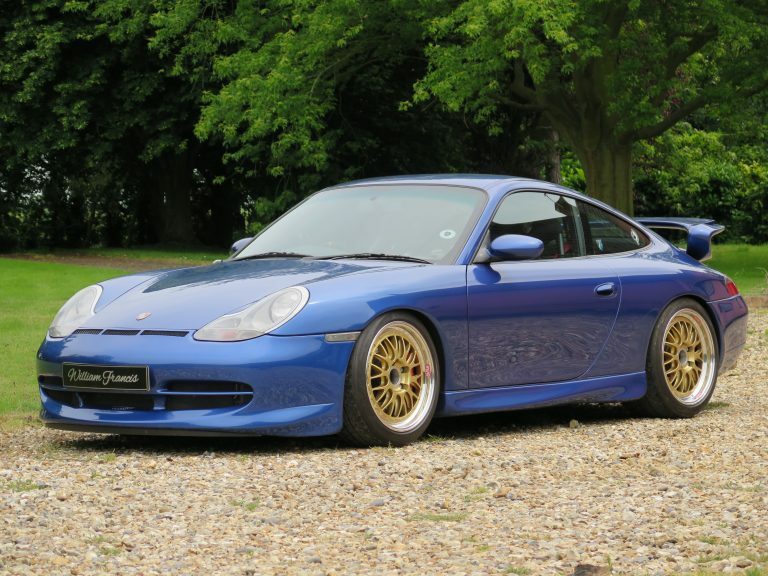 It is a lovely spec and the Kline exhaust would not cost over £3k I believe. I was really taken with that but he sold before I could view - currently looking at c2 3.4 like yours! So it did sell then. That's twice through him and it sold quickly. Not surprised. Im sure it was about £22k a few years back, sold for around that last time and that's pretty much what I paid for it as well. The C2 3.4 is definitely different, feels a bit more raw and basic. Where are you? Id say have a shot of a couple and see what you like. They all drive similar, depends what your looking for. Oh and revisiting the wheel colour and aero options after I keep going back to this. So so lovely. That really does look the danglies. Is it Zenith blue? 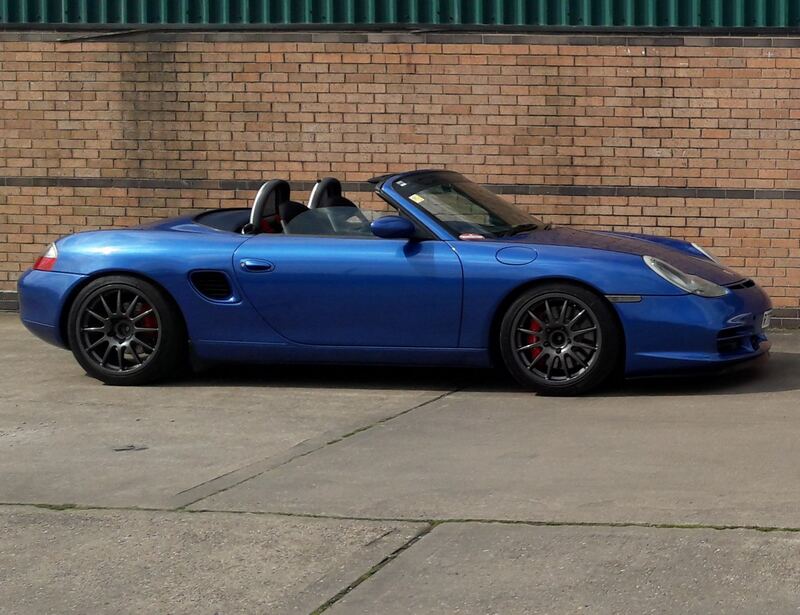 Cobalt, probably my favourite Porsche colour. I’m down in Dunfermline - not much coming up for sale locally so will have to travel to have a go! No problem with that its finding the time! Wheel all back together and seems fine. 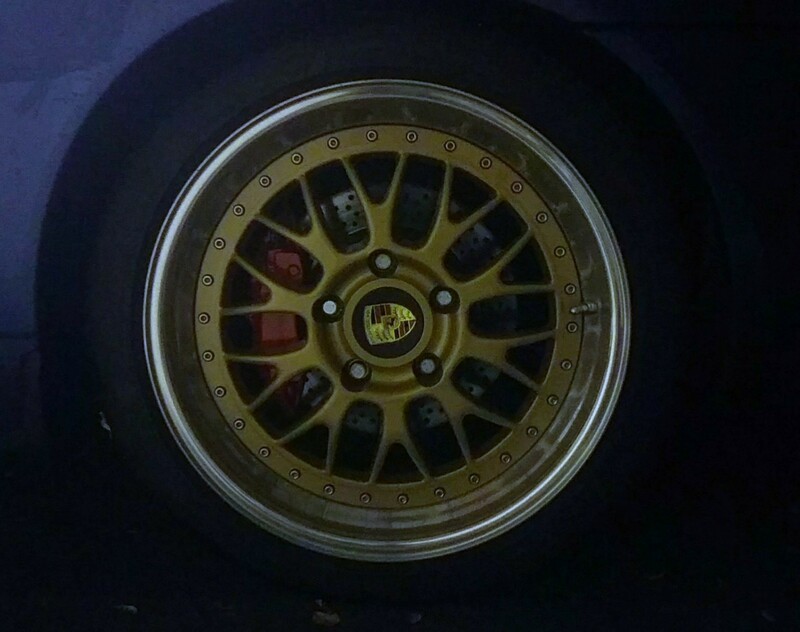 Red calipers with black decals, not so sure on them yet. Found a good photo of MK1 front aero bumper with MK2 skirts and ducktail. I like it. Mmmm, quite like this front bumper. Maybe with side skirts. Another mix combo. Ive just bought some 2nd hand Mk2 side skirts so just need to decide on front bumper. Will keep it all reversible so easy to put back to stock. Wheels are kind of sold/swapped + cash for something very similar. Just trying to finalise at the moment. 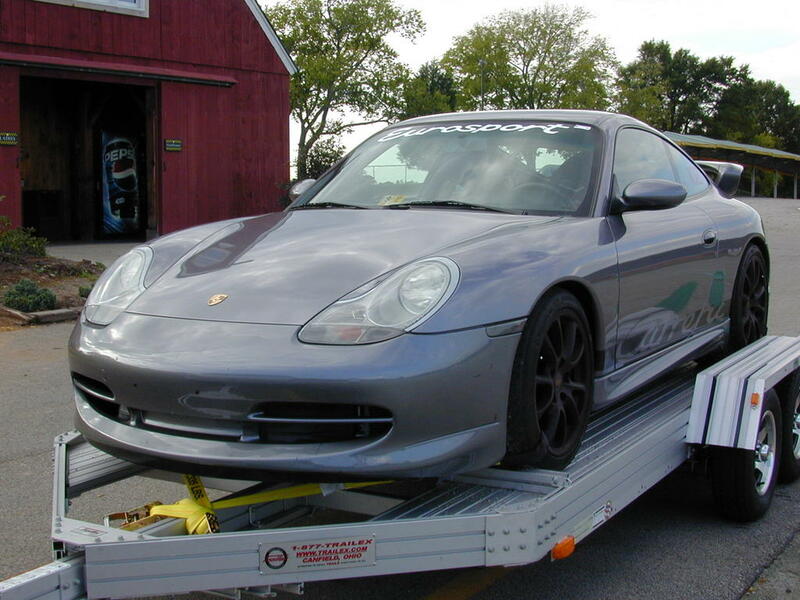 Also where the 996 shines - it's basically grown up's Technik lego! …little surprised you don't appear to have considered the differences between the Mk1 and Mk2 rear bumpers...? Oh I have, that's easily sorted though and a finishing touch as such. Only thing is I have the large oval tails which I like and as far as I can see they are not available for the Mk2 rear. 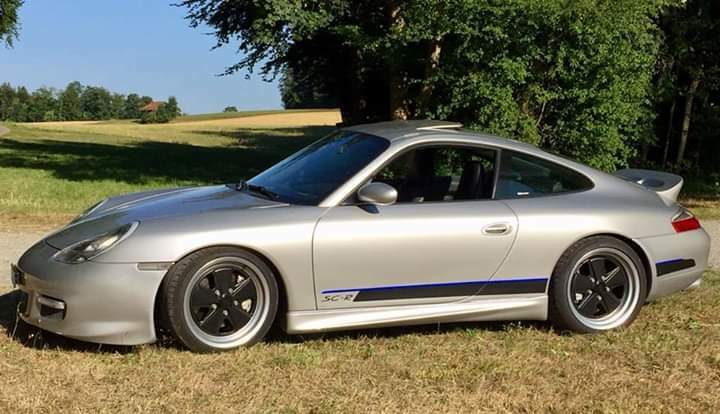 I have s set of 996RS tip on mine and they’ve never quite looked right with a mk1 bumper. I’ve got a pair of big ovals to fit, so you’re welcome to the RS ones if you choose to go down the mk2 bumper route. Thanks, yeah there a bit longer aren't they? I think it will be a long time until that will happen.